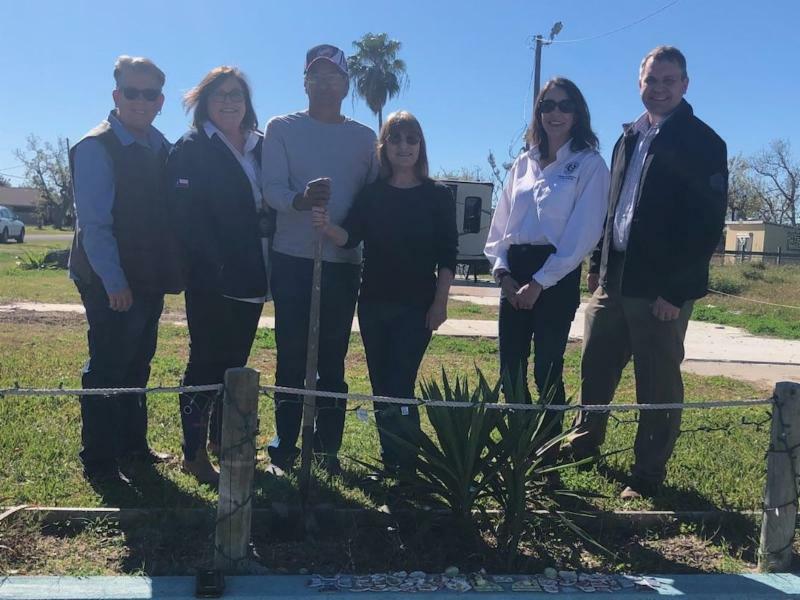 AUSTIN — Today Commissioner George P. Bush announced construction on the first two homes to be rebuilt under the Homeowner Assistance Program has begun in Rockport and Victoria. Construction is commencing on the first homes to be approved less than a month after the application process began. "Hurricane Harvey damaged thousands of homes and devastated the livelihoods of countless Texans along the coast," said Commissioner Bush. "The Homeowner Assistance Program will help thousands of Texans who are still struggling to rebuild their homes and their lives. The GLO has allocated more than a billion dollars to this program, but we do expect to receive more applications than funds available. The program is first-come, first-served, so if folks are interested in applying, they should do so quickly." 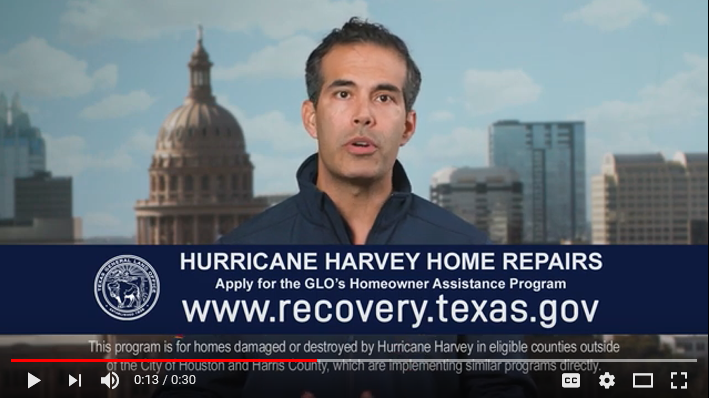 The Texas General Land Office (GLO) allocated $1.098 billion in Community Development Block Grants for Disaster Recovery (CDBG-DR) funds from the U.S. Department of Housing and Urban Development (HUD), for rehabilitation and reconstruction of thousands of owner-occupied single-family homes damaged by Hurricane Harvey. Homeowners in Harris County and the city of Houston will be able to apply for similar programs funded by direct allocations. Potential applicants should review the Homeowner Assistance Program Checklist to have all applicable documents ready prior to applying. 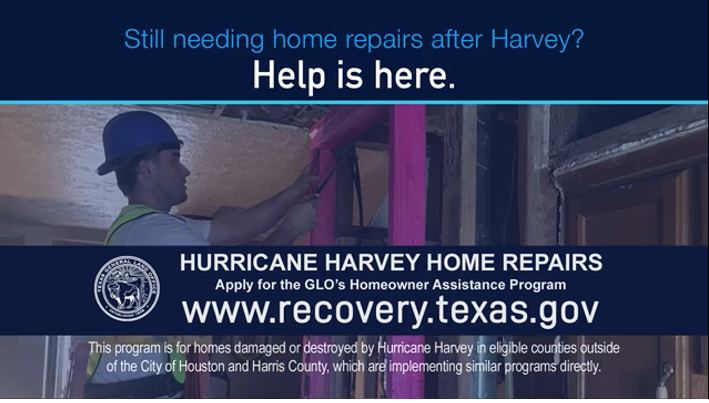 Interested homeowners should visit http://recovery.texas.gov/hap to apply online or download a printable version of the application. Potential applicants can also find in-person assistance at regional Homeowner Assistance Program offices serving their area. In addition to a main office in each region, each county will have at least one application drop off location or satellite office. Additional satellite offices and application intake locations may be announced in the future. For assistance, interested participants can email cdr@recovery.texas.gov or call 1-844-893-8937.